The game started in the favor of the Pittsburgh Riverhounds as the Nor’easters defended deep and showed the professional side too much respect. It was a good 15 minutes into the game before the likes of Frank Tweneboa, Abe Keller and Markhus Lacroix began to show what they could do. The Nor’easters began to control the game around the 28 minutes mark as they pushed forward in waves making some good chances. As the clock ticked over 30 minutes it was clear that the Nor’easters were in charge but were lacking that quality final ball to create a really good chance or to work the Riverhounds goalkeeper. The game was even towards the half as little mistakes and errors from both sides hindered their attacking quality. The half finished scoreless with Nor’easters having the last attempt from a wide free kick headed just wide. At half time the Nor’easters welcomed players from their youth affiliate Jersey Premier Soccer to take part in a half time shoot out on the field to give them a glimpse of playing in front of a big crowd here at Carey Stadium. With some hard work we hope to see them in a Nor’easters jersey in a few years. The second half began with a flurry of chances for the Nor’easters and it was the home team that was dangerous on the offensive. The Nor’easters got their goal to break the duct through Ken Tribbett on 68 minutes who smashed it in from close range after it was bouncing around in the penalty area. The remaining 20 or so minutes were some of the most stressful and traumatic in the Nor’easters history. The roar from the crowd could be heard all the way down the famous Boardwalk as they will the team onto victory. When the final whistle blew the sense of relief, excitement and a thousand other feelings were released as fans rushed onto the field to congratulate their new heroes. Coach Tim Oswald was over the moon with the result, "The boys did themselves proud tonight. We started shaky because we gave them too much respect. Once we started pressing and attacking with more pace, playing our way, we got into them and made them realize we were here to win". 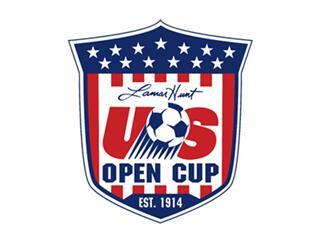 Philadelphia Union will be the next opponent for the Ocean City Nor’easters who will be looking to slay Goliath and progress onto an unprecedented 4th round game in the Lamar Hunt US Open Cup.